Welcome to the Youth Merit Division of the Washington State Horsemen. 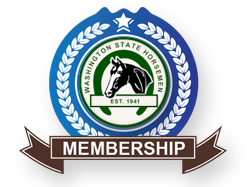 We are a FREE program offered to Washington State Horsemen members dedicated to the personal development of youth while providing a positive impact on volunteers and communities in Washington State. Offer a program that will satisfy the needs of the current WSH Junior Members (17 and under) and attract new ones to WSH. Provide an opportunity for youth to advance and broaden their knowledge of horses. Encourage youth to expand their horizons and participate in new activities, both with and without horses. Stimulate youth not only to develop new skills, but also to increase their proficiency at those they already possess. Recognize activities of youth in their club, school, and community, as well as reward contributions that benefit such organizations. Reward, in a tangible fashion, those youth who attain their required level of accomplishment. If you are 18 or older and want to volunteer, we have a place for you as well. Zone Advisors organize activities and help members set and achieve goals while having fun. Please contact your Zone President or one of the Youth Merit Chairs if you are interested in serving as a Zone Advisor. If you participate in Youth Merit every year, thanks for your support and participation! If you have not participated in recent years, join us and see what you have been missing! We urge you to take time to visit the new website pages to see for yourself the benefits youth enjoy when enrolled in Youth Merit. This program is the one place where all of us can enjoy our unique diversity, patch-worked together, solely for the pleasure and amusement of those who make the wise decision to participate.